Darlin’ Deals Review ~ Sofia the First: The Curse of Princess Ivy on DVD! 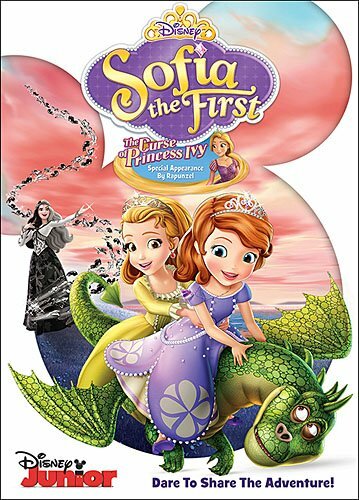 Disclaimer: I received a complimentary advanced copy of Sofia the First: The Curse of Princess Ivy on DVD & Blu-Ray in exchange for my honest review. I was not persuaded to write a positive review. All thoughts and opinions are my own. If you have a little Princess (or Prince) in the home that loves watching magical fairy tale movies you’ll want to check out Sofia the First: The Curse of Princess Ivy on DVD! With a runtime of 114 minutes, bonus features and tons of lyrically fun musical numbers this movie is sure to enchant your little ones! Darlin’ Deals Review ~ McFarland USA on DVD & Blu-Ray! Disclaimer: I received complimentary McFarland USA on DVD & Blu-Ray in exchange for my honest review. I was not persuaded to write a positive review. All thoughts and opinions are my own. McFarland USA is the feel good movie of the year! Based on true events that took place in McFarland, California this movie will have you rooting for the young athletes the whole way through. Set at a high school, McFarland High School, the main character Jim White moves his family to this school after being laid off from his previous job as a Football Coach in Idaho where his family previously lived. Upon becoming a PE teacher at this new school Mr. White, played by Kevin Costner, discovers some talented students and starts a cross-country team. Throughout the movie there are struggles but you are left with a feeling of pride for these athletes while they work their way through each race. With a runtime of 129 minutes and a PG rating this is sure to be a fun film for the entire family to enjoy! Darlin’ Deals Review & Giveaway: Disney’s Miles from Tomorrowland DVD! Disclaimer: I received complimentary Miles from Tomorrowland: Lets Rocket on DVD in exchange for my honest review. I was not persuaded to write a positive review. All thoughts and opinions are my own. This month I had the pleasure of reviewing Miles from Tomorrowland: Let’s Rocket on DVD! In this fun-filled Disney Junior series Miles, his family and his pet Merc go on a super-galactic adventure! This DVD includes the premiere episode and 4 bonus episodes of the popular Disney show. With almost 2 hours of episodes and a FREE exclusive Clip-on Blastboard Flashlight inside every DVD packaging your little space explorer is sure to be thrilled with this set! The flashlight toy is actually a good quality little keychain light which might come in handy on my key ring in case I need it to find stuff in the ‘abyss’ between the seats in the car where kids manage to lose everything lol. If you’re looking for a show that the whole family can enjoy, I highly recommend getting Miles from Tomorrowland: Let’s Rocket on Disney DVD which is now available for sale! Disney has generously offered to give 1 Lucky Darlin’ Deals fan a Miles from Tomorrowland: Let’s Rocket DVD!